Natural versus chemical products have been on everyone’s mind for a very long time and it is time to iron out all the details and finally figure out which is better skincare products for you to use and why. Former make-up artist and now licensed beauty proffessional Sally Mitchell takes us through and explains which is the best for your skin. Sally started her career as a make-up atrist but afer receiving a diploma in Clinical Dermatology decided to combine her passions, staying informed with the lasted skin care information. We all tend to get confused when it comes to sticking with our chemical based products are making the jump and moving over to natural based skincare products. Your chemical based products are made up of synthetic and chemical ingredients. Even though some of the chemicals make the product more effective, it increases the chances of you developing skin allergies, rashes, irritations and side effects. The chemicals used are often very harsh on the skin and too abrasive for people with sensitive skin. More often than not, chemical based products cause more harm than good. You are at a risk of pre-mature aging if you use chemicals on your skin continuously. Chemicals tend to exhaust your skin over time and cause your skin to sag. This is caused by the chemicals breaking down your natural Elastin in your body. Finally, chemical based skincare products can in actual fact cause Acne. Most of the chemicals used in the products can cause impurities in the skin which results in an Acne like breakout. One of the most common ingredients is mineral oil. Mineral oil has been known to attract free radicals. Free radicals cause the skin to break out, can cause early ageing and can damage the skin to the point where it is irreversible. Your natural based skincare products are made up of non-artificial ingredients such as oils, plants, fruit extracts and fruit acids. These elements of the skincare product are known to nourish and treat your skin in a natural way. Most of your natural products are high in anti-oxidants. They assist your body in slowing down the ageing process which creates a younger, vibrant looking skin. 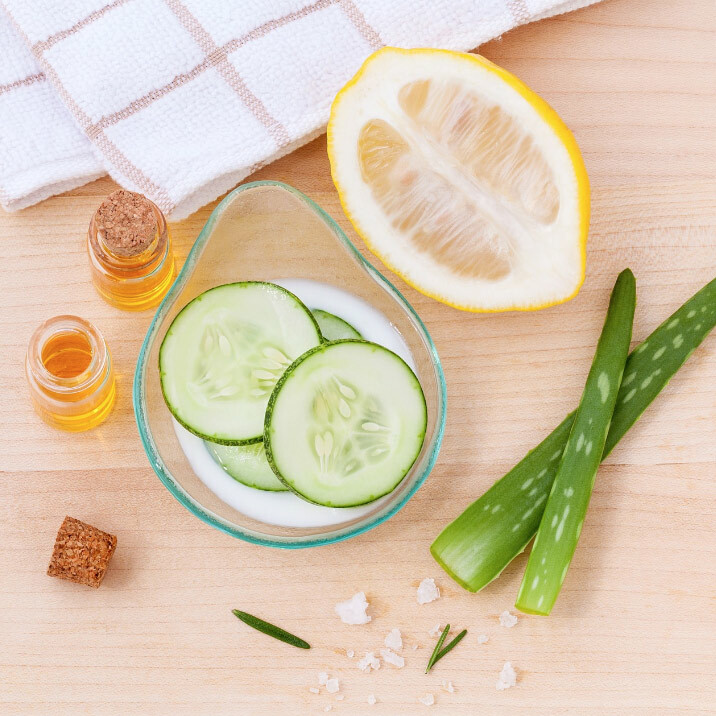 Even though there are a lot of products out there that claim that they are a natural skincare range, you need to keep in mind that not all natural products are created equal. The formulations used vary from brand to brand. Many of the brands are still using silicone in their products to make their creams and lotions feel more luxurious. Even though silicone feels nice on the skin once it is applied, it does not add real value to the product. Does the product have to be 100% natural? This is a question most people ask and the answer is no. As long as the product is 95% natural is it a good product to use on your skin however, you need to make sure that it is a high quality product. A product with more than 95% natural is even better for your skin. Preservatives are ingredients that kill bacteria, mould and fungus that can grow within your product and when this happens, the product can no longer be used on your skin. Please make sure that your product does not contain any parabens in your skincare products. These are not good for your skin at all however, very small amounts of alternative bacteria killers are fine to use. Try B Skincare products, a huge range that are always paraben and chemical free. Better for your skin and is not likely to cause skin allergies. The shelf life decrease as the product is natural and does not contain parabens. Not toxic to the skin. Helps your skin slow down the ageing process due to the anti-oxidants in the product. Safe to use on children and people with sensitive skin. Results take longer to see however, it is longer lasting. The chemicals and synthetic ingredients are likely to cause skin allergies and reactions. Has a longer shelf life due to the preservatives in the products. Can be toxic to the skin depending on the ingredients. Damages your skin when used long term and depletes the skin’s natural Elastin production. Not safe to use on sensitive skin types or on children. Results are seen in a shorter period of time however, the effects are not long lasting. I always tell my clients that your body is natural so it will respond better to natural products rather than chemical based products. Once they move onto natural based skincare products, their skin looks healthier and stays healthier for longer. There is a time and place whereby chemicals are needed to take care of severe skin conditions and disorders. Having said that, for people who do not have sever conditions, the skin will react better to natural based skincare products. Our skin is the largest organ of our body. It is of the utmost important that we take extra care of our skin and treat it properly. More and more people are becoming more conscious of what type of food we put into our bodies and making sure that we do enough steps per day to keep our heart healthy but we tend to forget about our skin. We want something that will fix our skin now and we do not worry about the long term effects. The same attitude we have towards our diets, we should have towards our skin. Whether it is a body lotion, face wash, anti-ageing serums or acne routines, your skin absorbs over half of the product we put onto it. Why do we punish our skin by exposing it to toxins that will damage it? What type of product do you use today? What type of product will you use tomorrow?